Mount Kanchenjunga, is one of the world’s most spectacular mountains, is renowned as the queen of mountains the third highest peak in the world lies on the eastern border of Nepal and India. The Far Eastern border of Nepal was initially opened for foreigners in 1988. 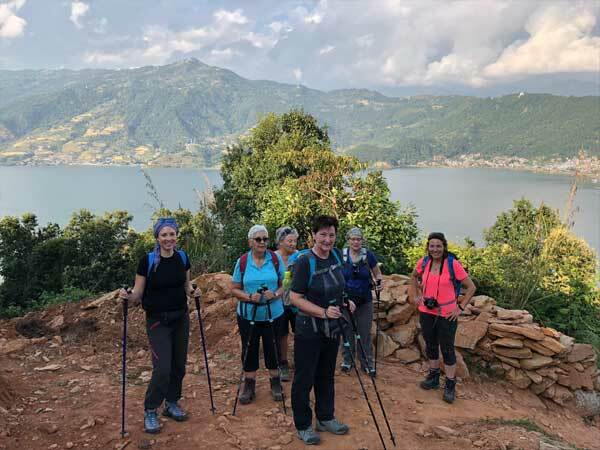 The trek provides you with the chance to experience the remoteness of this region, romantic mountain views, diverse flora and fauna and rich local culture. This trek is considered a non-technical trek. If you are moderately fit and have a sense of adventure you will enjoy this trek. The program is designed to acclimatize you gradually and so avoid high altitude sickness. However you are requested to check your fitness. We suggest you to strengthen your knee muscles and prepare for several days of steep descents. DAY 03: We take the afternoon fly to Birathnagar where we spend the night in a local hotel. This morning we take another flight to the mountain airstrip at Suketar located above the small town of Taplejung. On arrival we meet the trekking crew and start the trek along the Surke Danda to reach the village of Mitlung. We start our trek with a downhill walk to Mitlung. Our route will pass through scenic pastures and small villages. On the way, we cross the Hungdewa Khola and the raging Tamur River. Trek uphill for some time then descend to the lush green vegetation below. Continue along the Tamur River until arrive at the Olangchung Gola, the entry point of the Kanchenjugha National Park. Thus we go uphill and downhill again before crossing the Ghunsa Khola. After crossing the suspension bridge, and another half an hour’s walk we arrive at our campsite of Sekathum. Today is going to be a rather tough day. Cross the river and ascend the steep trail. Then descend again and cross the river again. Another climb from the gorge bottom. Pass by Solima , descend again to the river level. The trail passes along the gorge, hence be careful while walking. Then following the uphill and downhill tricky trial, we conclude our today’s hectic journey at Amjilosa. Overnight in camp. We descend again down the river. The valley slowly opens up before we arrive at Phole. Another couple of hours take us to the famous Sherpa village of Ghunsa with hydroelectric plant. It’s also the place where more than 20 prominent conservationists met their tragic end in a Helicopter crash. Overnight in camp. Today, we trek along the edge of the glacier which is mostly gradual path on grassy trails. Be careful on some rockier sections and areas prone to landslides. Enjoy the views of the Chang Himal on your right. Arrive at Pangpema a flat grassy base camp. Climb higher a little to get the magnificent views of the Kangchenjuna North Face. We descend to Khambchen from Pangpema. Today we return to Ghunsa. From Ghunsa, the trail climbs a steep 500 m to a high camp, for an overnight stay in preparation for the trek to Mirgin La Pass from Ghunsa village, climb through the dense forest of moss, rhododendron and juniper. Lunch at a suitable place with the availability of water. For impressive views of the Himalayas the route crosses five passes, first Tamo La (3900 m), an unnamed pass (4115 m), Mirgin La (4663 m), Sinion La (4660 m) and another unnamed pass at 4724 m. From this last pass there is a steep descent of 1000 m to the small settlement of Tseram, high above the Simbua Khola from these passes, Finally make a steep descent to Tseram. Overnight in camp. Cross the Omje river on a couple of bamboo poles and follow the Kabeli river upstream for a short distance, ignoring the suspension bridge. After you pass behind a ridge out of sight Yamphudin, cross a small stream and take a trail that heads straight uphill. Zigzag up through fields of corn and barley to Darachuk, and keep climbing past meadows to Dubi Bhanjhyang, a pass at 2540 meters. Cross the stream on a log bridge, and go a bit further upstream to Omje river. Trek all the way passing through the villages of Chitre (2920 m.) lamite Bhanjyang (3410 m) then the trail emerges into the open just above the Simbua river. A 1987 flood washed away large parts of the trail. Stay above the white silty river and follow it upstream, on a series of ascents and descents, to temporary bridge built of stones and logs. Day 21: Torantan – Yamphudin (3870 m.) 5 hrs. We descend today to Yamphudin (5,360 ft) Yamphudin is a mixed community of Sherpa, Limbu , Rai and Gurung and is the first real village since Ghunsa. Day 22: Yamphudin to Mamakhe (2990 m.) 6-7 hrs. Climb to a ridge and then descend gradually to the Tenguwa river. Forgo the decrepit bridge; cross the stream by jumping from stone to stone. Switchback steeply up to another ridge marked by a Chorten and prayer flags, then descend across rubble and rock slides and cross another stream. This portion of the valley is steep, and portions of the trail are on cliffs high above the river as it makes its way down to the Kabeli river at 1640 meters. Stay on the west side of the Kabeli river, climbing gently to yamphudin at the junction of the Omje river and the Kabeli river. Yamphudin is a massed community of Sherpas, Limbus, Rais and Gurungs. Among the corn and rice fields of the village there is a police post, a school, and some shops with minimal supplies. Day 23: Mamakhe to Lalikharka (1810 m.) 6-7 hrs. Trek through fields to the substantial Limbu village of THEMBEWA AT 1880 m. From Thembewa, the trail ascends a bit to a ridge, then drops steeply through Shimu and Pokhara villages to a suspension bridge across the Phewa river at 1430 meters. There is a good swimming hole here and a possible campsite near the river. Climb steeply to Khunjari, a Limbu village at 1700 meters. Turn left just beyond the school and climb through wheat fields to a sadly. 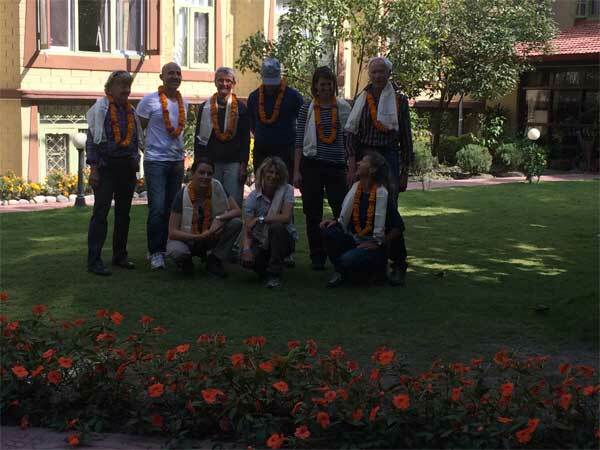 Day 25: Flight from Suketar to Birathnagar, then another flight to Kathmandu.